AUSTIN – Today State Senator Donna Campbell filed Senate Bill 782 to protect property owners from burdensome regulations and ordinances regarding trees and timber, guaranteeing Texas property owners the right to use their land and trim their trees as they best see fit. “Few rights are more essential to a free society than private property rights. Unfortunately, municipalities across Texas have been eroding these long-established rights and it’s costing Texas families and businesses a fortune,” Senator Campbell said. “SB 782 limits the power of government by ensuring Texans have solid ground to stand on when it comes to managing and developing their own land,” Senator Campbell said. SB 782 includes explicit language acknowledging that a landowner owns the trees and timber on their real property. Additionally, it limits the mitigation fees that a government entity may impose on a landowner for removing mature trees greater than ten inches in girth. 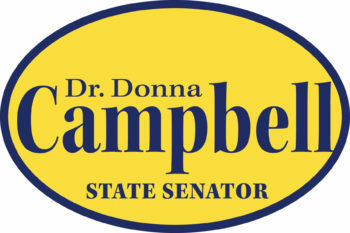 State Senator Donna Campbell is an emergency room physician who represents Senate District 25, which includes all or parts of Bexar, Comal, Guadalupe, Hays, Kendall, and Travis Counties.